We can help you increase agent and agency income and improve candidate selection and retention. 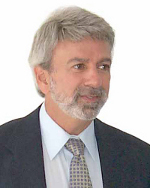 Charles Legalos has created high-impact business development programs for companies and international organizations, including the British Institute of Company Directors, Time-Life Corporation, ABECOR (Associated Banks of Europe Corporation), Lloyds of London, British Telecom, Redland SA (Northern Ireland), A&P Appledore Ltd., Xerox Learning Systems Inc., and many others. In addition to his work with corporate and government clients, he has trained more than 1,000 independent professionals and business owners. Dr. Legalos has been a speaker for the American Management Association’s annual conference in Vienna, Austria, the ABECOR international banking conferences in Frankfurt, Germany, and Lloyds of London conferences in London, England. In 1978, Dr. Legalos joined the international think-tank Arthur D. Little, Inc. as a senior consultant. He went on to found successful businesses in the United States, France, and England. From 2001–2008, he was Managing Director for the San Francisco region of Business Network International (BNI), the world’s largest business referral organization. He is a contributing author – along with Tony Robbins, Brian Tracy, and Erin Brockovich – to the Wall Street Journal #1 best-seller Masters of Success: Proven Techniques for Achieving Success in Business and Life, published by Entrepreneur Press. He received his Ph.D. in Organizational Psychology from York University in Toronto, Ontario, Canada. 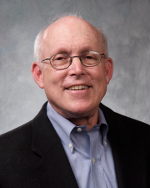 Nick Ray is a business coach and author, with more than 40 years experience as a financial services business owner and business coach. He is a partner in Critical Contacts LLC, a software marketing company, which helps managers and recruiters hire better sales candidates, and also helps experienced agents and advisors learn to market more effectively by helping them discover who is in their target market. Additionally, Nick served as a member, curriculum and course developer, and weekend and weeklong seminar leader for Creative Initiative Foundation and Beyond War, organizations stressing personal development and environmental and political consciousness. Both organizations emphasized increased self-awareness, developing enhanced personal relationships, and learning to become mindful of the subtle but extremely important aspects of effective personal and business relationships. With this background, Nick works well with business executives, entrepreneurs and financial services professionals to help them work smarter and build more successful careers. Nick has worked with professionals from across the United States. Associates and employees of companies worked with include AIG, Gatto McPherson+Company, Interaction Associates, Northwestern Mutual Financial Network, Mass Mutual, Merrill Lynch, New York Life, and The Phoenix Companies.